If you noticed in the above photo, I am wearing a beanie. I bought it from Gorman because I intend to not feel a degree of cold weather this winter. The last time I wore a beanie was on Year 8 Ski camp, which I hated. It was a Roxy beanie and it's probably still kicking around somewhere, actually. Then I had lunch with my Mum and my Nanna and we went to the local Op Shop. I found some great stuff, all photographed above! The Women's Day on the left is from 1965, and the one on the right, 1969. 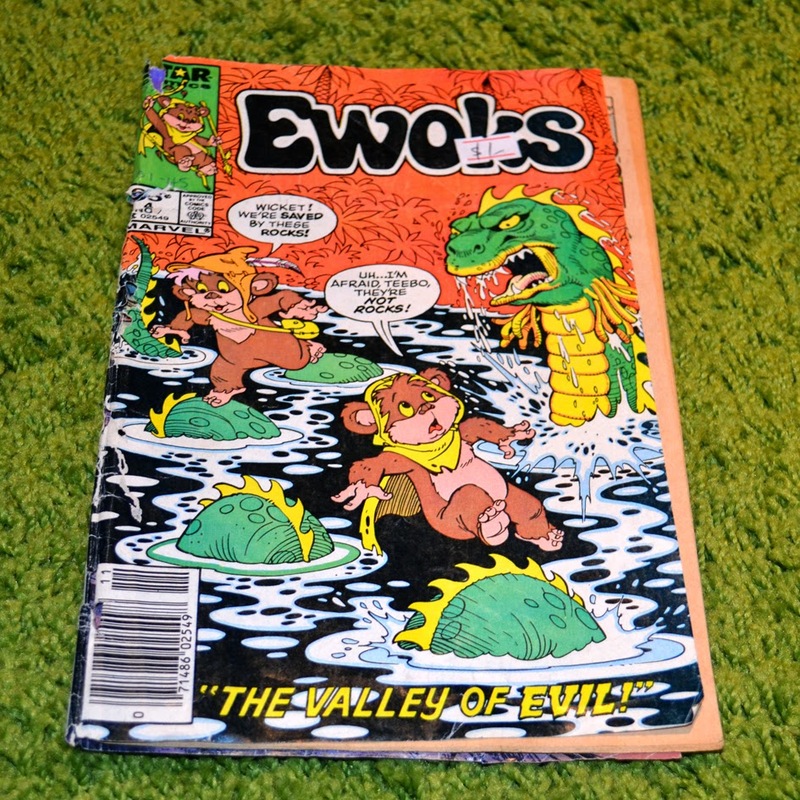 The scary looking 'Family Cookbook' is from 1975, and the 'Ewoks' comic is from 1985 and has some fantastic colour advertising inside. So pleased! I'm having another night in tonight, which I'm glad about (no surprises there). But, it's a long weekend, and I think I might hang out with some friends tomorrow night (Sunday) but because Monday is a day off it's like tomorrow night is Saturday night so that's when socializing will occur... so logical. Wow. This post is turning out to be rather boring... more opinions soon, I promise, ha ha. Now that we're down the boring path I should confess to what I'm actually doing right now - 'Babe', that movie about the pig is on TV, which is like one of my most cherished childhood films that I watched over, and over, and over again on VHS. It is such a sympathetic film, as a child my heart just broke for little babe. It is actually still breaking right now. 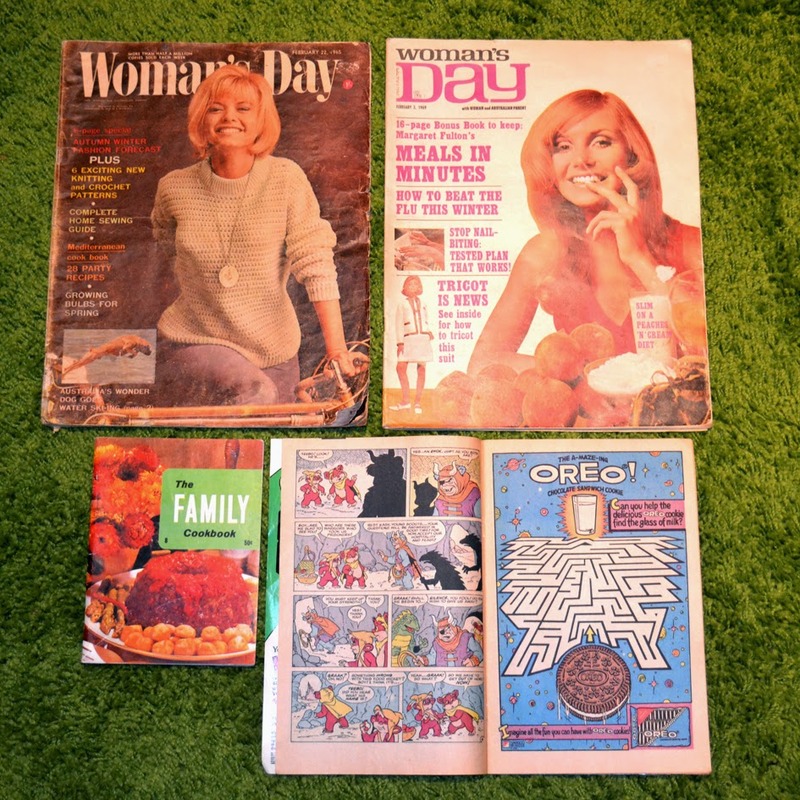 I'm also flicking through the '60s issues of Women's Day I bought today, reading all the letters that readers have sent in and getting some great advice on a diet consisting only of peaches and cream... Ah, life. Or rather, ah, my life. 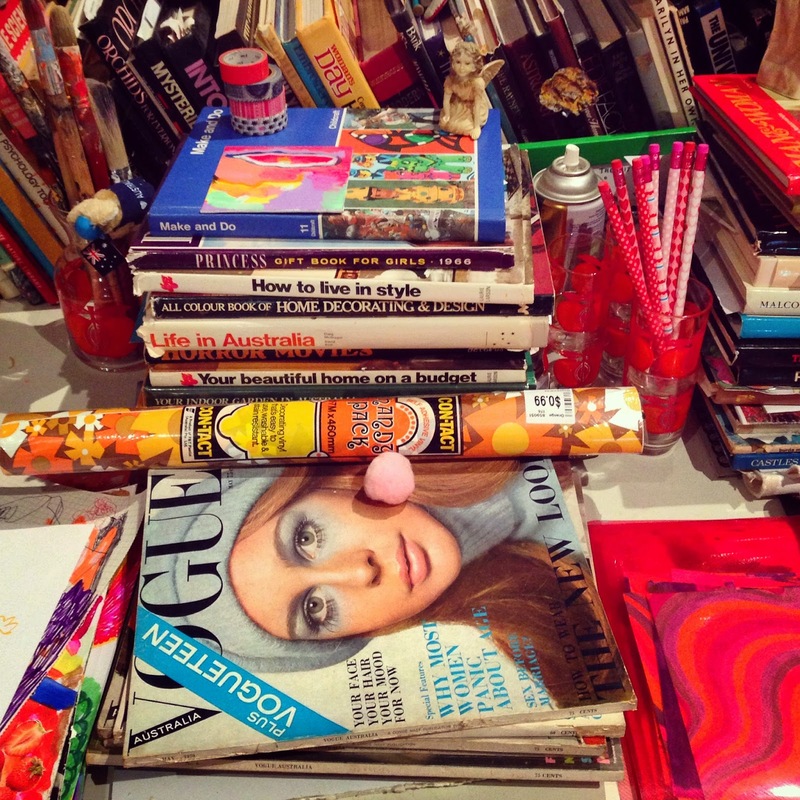 It can be very collage-y and insular and odd. And then it can be the opposite. Haha the part about watching Babe... :) But seriously good pictures! 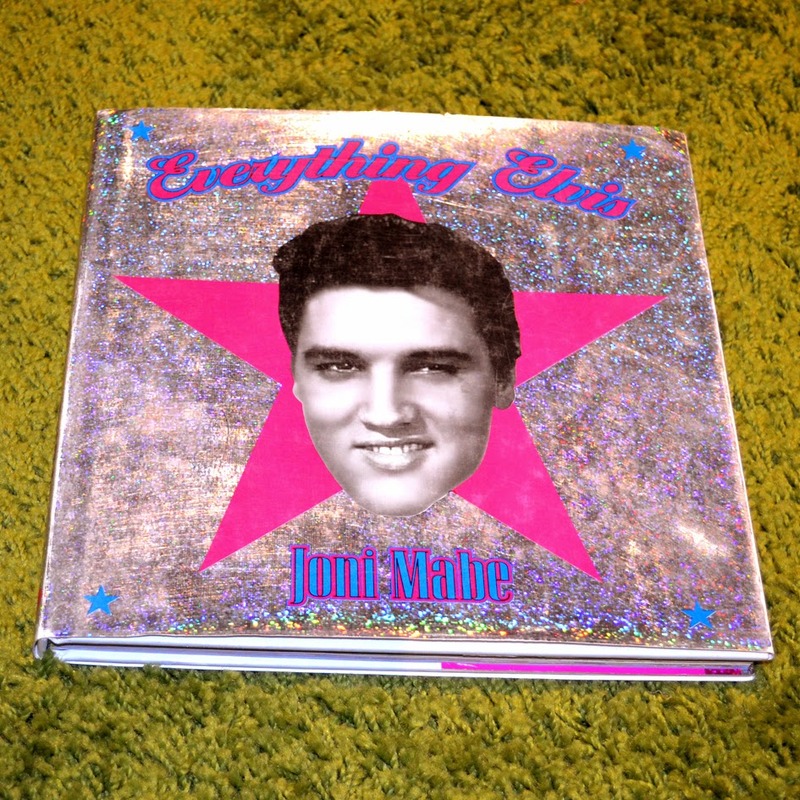 The cover on the Elvis book is amazing! 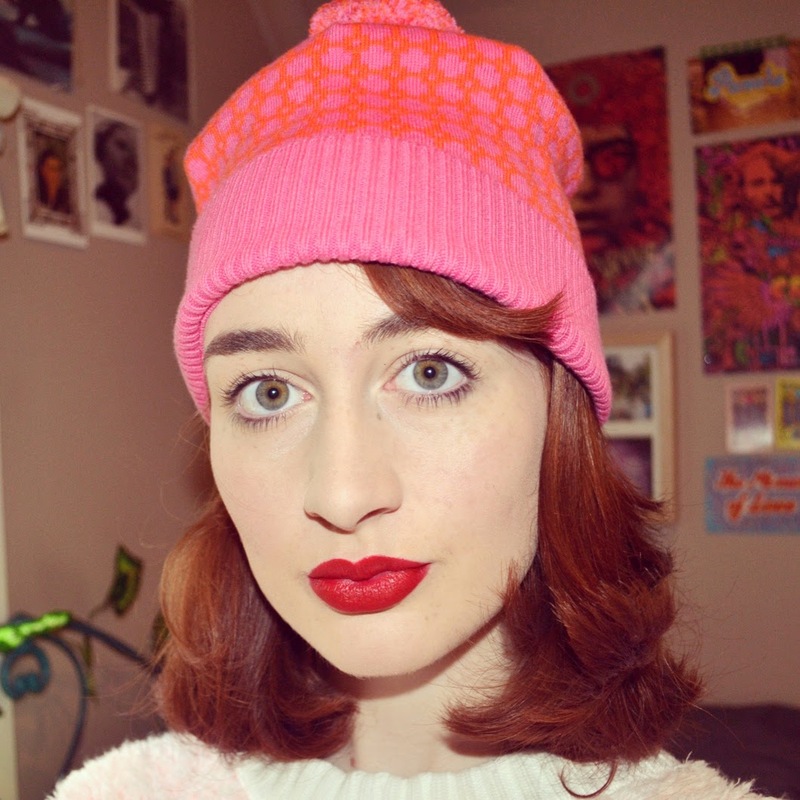 Um that Gorman beanie is gorgeous and you totally rock it!